This nail polish is the perfect summer shade and I am obsessed!! 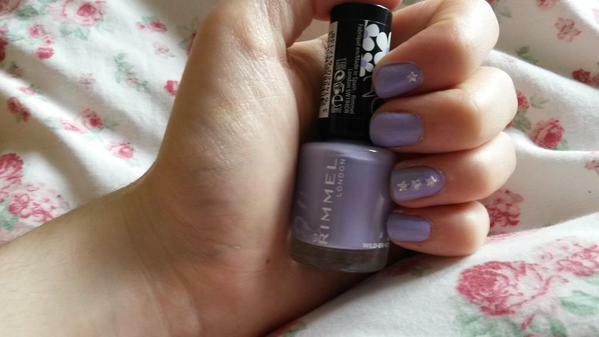 It's from the Rita Ora range by Rimmel and as we all know, Rimmel rarely let down in the nail department. I think everyone and their cat owns at least one of the Rimmel 60 seconds nail polishes so I'm not even going to go into a review. I got this polish about 2 months ago and I've honestly worn it so much but I can't get sick of it! I got the shade 558 'Go Wild-er-ness', which is a beautiful shade of pale purple. I love purple so this is right up my street and has quickly climbed to the top of my favourite nail polishes! What is your favourite summer nail polish?